Famous for its Art Deco architecture, Ranfurly is a bustling service hub in the heart of the Maniototo. Situated alongside the Otago Central Rail Trail, Ranfurly is a one-hour drive from Alexandra and one-hour and 40 minutes from Dunedin city. When the rail came through in a direct line from Waipiata to Wedderburn it cut off Naseby, the area’s original hub. Relocating the small township of Eweburn about 5km northwest of Ranfurly was at first considered to provide a new service centre. However, Ranfurly, named in honor of Lord Ranfurly, the fifth Governor General of New Zealand, took that distinction. The old Eweburn post office is now located beside the Ranfurly Railway Station site and many of the main buildings were relocated from Naseby. Art Deco style shops and homes sprung up rapidly in the 1930s after the town went through a series of suspicious fires. The spectacular two-storey, Art Deco style Ranfurly Hotel, complete with balcony overlooking the main street, was rebuilt in 1934. The Art Deco Fenton Library also boasts Central Otago's last remaining independent radio station. In February the town comes alive and its population swells with visitors keen to partake in the Ranfurly Art Deco Festival. People dress in the fashion of the era and enjoy the entertainment. A strong, passionate community ensures the town has a wide selection of clubs, a hospital, fire station, arts centre, churches, information centre, two primary schools, a secondary school and retirement village. 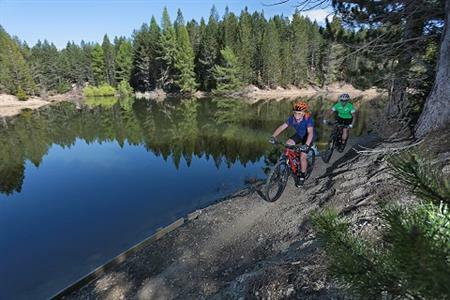 Ranfurly is a great base for recreational pursuits with bike hire, accommodation and dining, curling, four wheel drive tours, mountain biking tracks, horse treks, fishing and hunting all readily available. There is much on offer in Central Otago's Ranfurly not least its Art Deco architecture – seldom seen to the same extent elsewhere in New Zealand.